Practical guidance how to prepare for and meet with elected officials and staff, how to write effective letters and emails to elected officials, strategies for influencing legislators face-to-face, best practices for communicating with Congress and state legislatures, and how to write persuasive "letters to the editor". 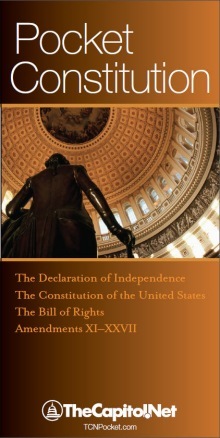 Includes the U.S. Constitution and the Declaration of Independence. Buy all five items and save! 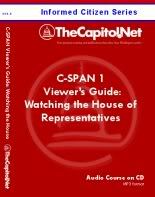 "C-SPAN 1 Viewer's Guide," "C-SPAN 2 Viewer's Guide," and "What Your Member of Congress Can Do for You." Total run time: 268 minutes. MP3 format. 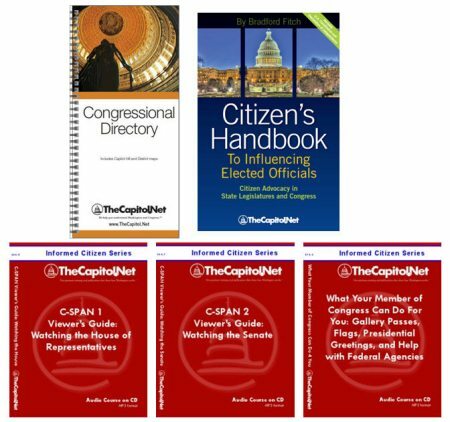 Includes course materials, FREE copy of the then-available state-by-state "Congressional Directory" and FREE copy of the "Citizen's Handbook to Influencing Elected Officials" and FREE shipping in the US. Each U.S. citizen has 3 elected representatives in Congress: 2 Senators in the Senate and 1 Representative in the House. 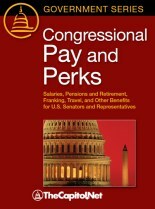 To find out who your congressional representatives are, see "Congressional Directories" below. 2.1 Working Environment of "The Last Plantation." 4.7 Are Legislators Driven by Polling? 7.2 What Kind of Mail Do Lawmakers Really Read? Bradford Fitch is President of the Congressional Management Foundation. 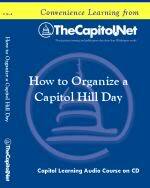 He is the author of Media Relations Handbook for Agencies, Associations, Nonprofits and Congress (TheCapitol.Net) and Citizen's Handbook to Influencing Elected Officials (TheCapitol.Net). 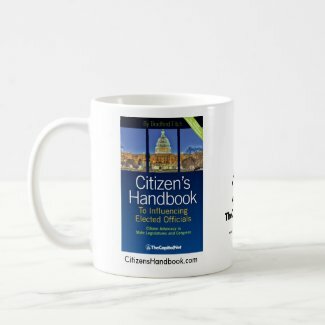 Have a suggestion for the Citizen's Handbook to Influencing Elected Officials? If you have a suggestion for a change or addition to a future edition of the Citizen's Handbook to Influencing Elected Officials, please contact us or complete our online suggestion form. 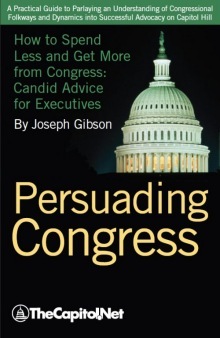 "This is a well designed and well written guide book for those who really care how our government works and how we can implement much needed change!" 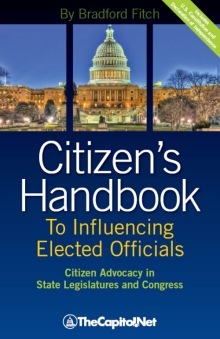 "Citizen's Handbook to Influencing Elected Officials is a choice read for those who want to make a difference with today's hard to reach politicians."